No matter what browser you were using, be it Chrome or Firefox, whenever you type something in any program, the “How to get help in Windows 10” will keep popping up on Bing Search in Microsoft Edge or Internet Explorer. Why does how to get help in Windows 10 keep popping up? “How to get help in Windows 10” is not a virus. It’s just a default help pop up that appears whenever you click on any Help icon or pressing the F1 key on Windows Explorer or Windows 10 desktop. It can be very annoying when the How to get help in Windows 10 keeps opening on Bing Search and minimize your program when you type anything anywhere, or even when you’re idling. Here’s why it’s happening and how to stop and get rid of “How to get help in Windows 10” popups. Depending on where it pops up from, it may appear as how to get help in windows 10 email, explorer, keyboard, mail, mobile, photos, screenshot, taskbar, or update. Here’s how to disable “How to get help in Windows 10” from keeps opening. The How to get help in Windows 10 pop up usually appear only when you press the F1 key on Windows Explorer or from Windows 10 desktop. 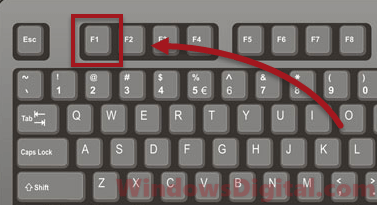 F1 key, in history of computing, is to get help for the particular matter you’re on. For example, if you press F1 key on Chrome, it will bring up the Chrome help page, whereas if you press it on Microsoft Word, it will open the Microsoft Office product help page. Additionally, when you press on Win + F1 key on the desktop in Windows 10, it will open Microsoft Windows help and support center. 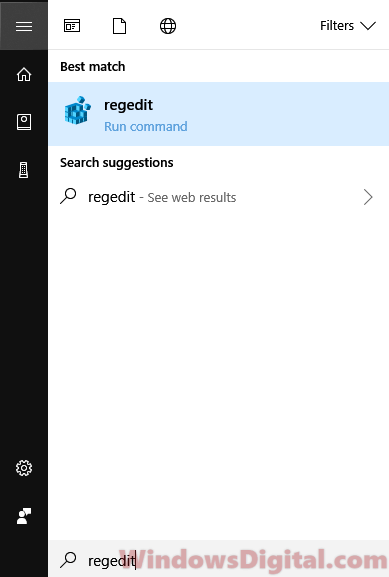 So, if the How to get help in Windows 10 Bing search pop up won’t stop or appear randomly and can’t be stopped, check the F1 key on your keyboard. If the F1 key is broken, unresponsive or self-clicking on its own, you may need to either replace your keyboard or get it fixed. Try to temporary unplug your keyboard and use another keyboard, and see if the problem persists. Keyboard macro program such as AutoHotkey and Razer Synapse may be the reason why the F1 key is getting clicked without your consent. Check if you have any of such software that is capable of making macro for keyboard keys auto clicking currently running on Windows 10. Disable or uninstall any keyboard macro program your Windows 10 is running. Then, Restart your computer and see if the How to get help in Windows 10 Bing search would still keep popping up. This tweak may be able to stop Windows from opening the How to get help in Windows 10 Bing search pop up. However, it doesn’t change the fact that your F1 key may have been pressed without you knowing. Editing registry is an advanced technique and should only be done if you know the consequences when you do it wrong. Backup your registry before proceeding and do this at your own risk. To backup your registry, in Registry Editor, go to File, then Export. Type regedit. Open Registry Editor from the search result. 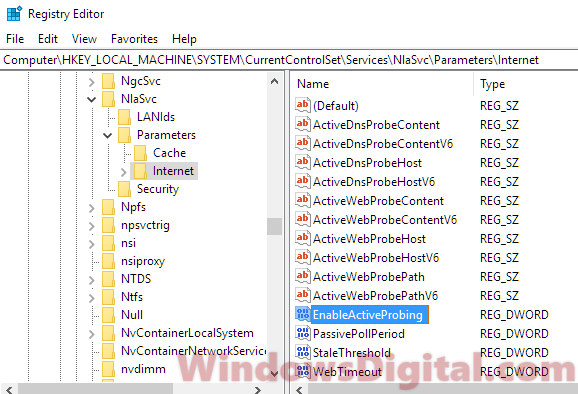 Navigate to the following registry path. On the right pane, double-click on the entry named EnableActiveProbing. In the value data field, enter 0 (instead of the default value of 1). 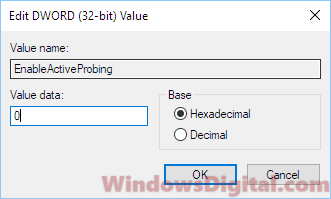 After changing the value, press F1 again or do whatever you were doing to verify if the How to get help in Windows 10 Bing search still keeps popping up. 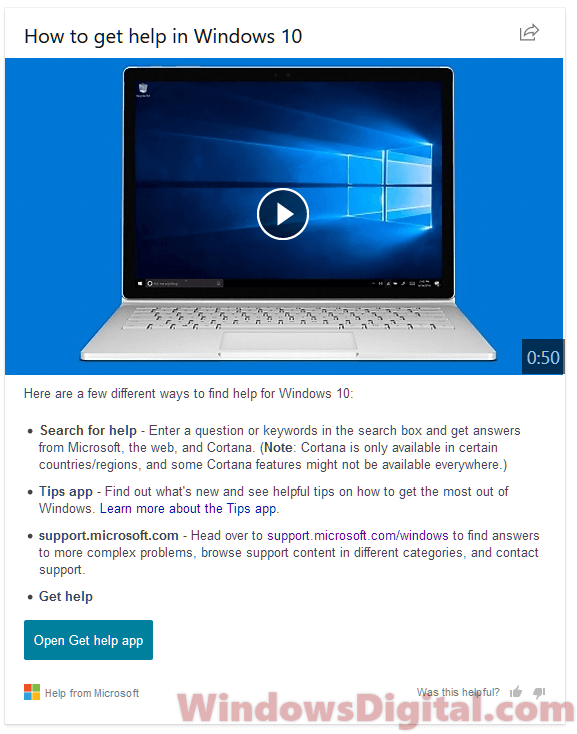 Description for sharing: "How to Get Help in Windows 10" Bing Search keeps popping up and opening on Microsoft Edge or Internet Explorer whenever you type anything on any program, regardless of what browser you were using.